Australian songstress. Thumping beat. Catchy hook. 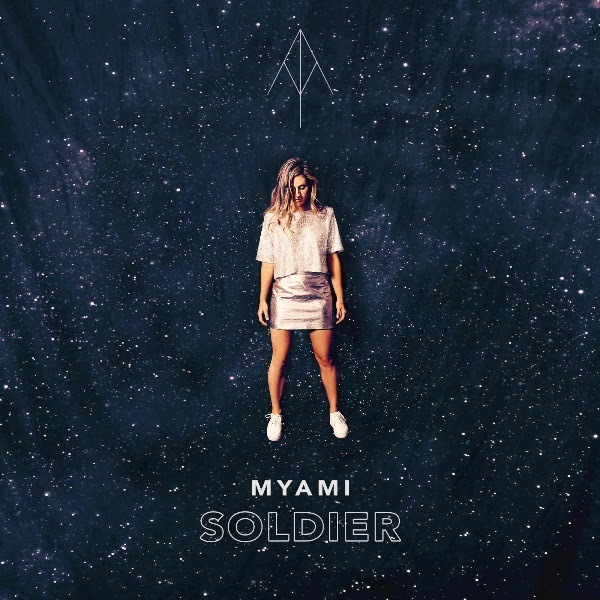 I can almost guarantee that you'll be hard-pressed to find anything not completely enjoyable about under-the-radar artist Myami's debut single, "Soldier," produced by Wayfarer. This song is crazy good—which makes it kind of hard to believe Myami has just 78 Twitter followers and somewhere north of 700 fans on Facebook. My intuition tells me that as she releases more music—and if it sounds as kickass as this does—this won't stay the case for long. Her vibe reminds me of the dark undertones of MS MR with a dash of Little Boots' energy. I found this song via Pigeons & Planes last week, and have had it on constant rotation ever since. I have a feeling it's going to make the perfect edition to our summer rooftop party soundtracks and maybe even a running/fitness playlist (you know, if you're into that kind of thing...) Give "Soldier" a listen below and let me know your thoughts!